A Portal Website answers some specific needs in terms of communication. It can be used at different level. We like to help our customers to fully understand our different website solutions in order to let you pick what is best for you. You need first to identify your Marketing needs and decide what is the best offer according to your communication objectives to your budget. A Portal Website is a website specifically built to host a huge quantity of pages, sections and categories according to the great importance of daily news showed in the homepage itself. As example, an online magazine could use a Portal website. In the same way, a portal website could be used for a corporate website with a lot of content. 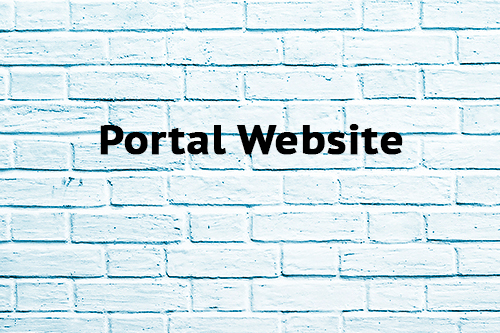 A Portal is definitely a website with the aim to give a lot of structured content and informations to its visitors. It displays articles and posts illustrated with images. The presentation is modern and dynamic. Most of the times the main and current news are gathered on the homepage with their short description. By clicking on the topic your reader gets the full article and can enjoy the reading. Provide to your reader the best experience with a modern and creative portal. We are flexible to satisfy our customers. The finality of a portal website is to be flexible and accessible. With Low Cost Web Agency you get a high level experience while getting a substantial savings. Please consult our websites offers comparison table below to learn more about our website design products and compare the different kind of website Low Cost Web Agency is offering to its customers.